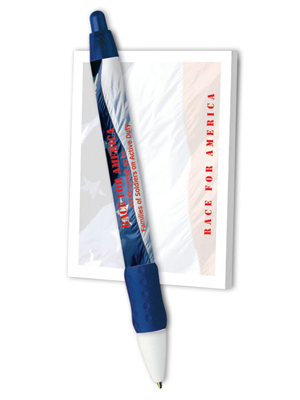 Free 4-color process imprint on notepad and pen for maximum impact, packaged in cello wrap for a tidy giveaway. Stock backgrounds are standard. All design packs feature the stock backgrounds as shownâ€”STANDARD! Should you have additional combo pack needs, such as other items, please inquire and we will try to accommodate your request. Additional charges may apply.